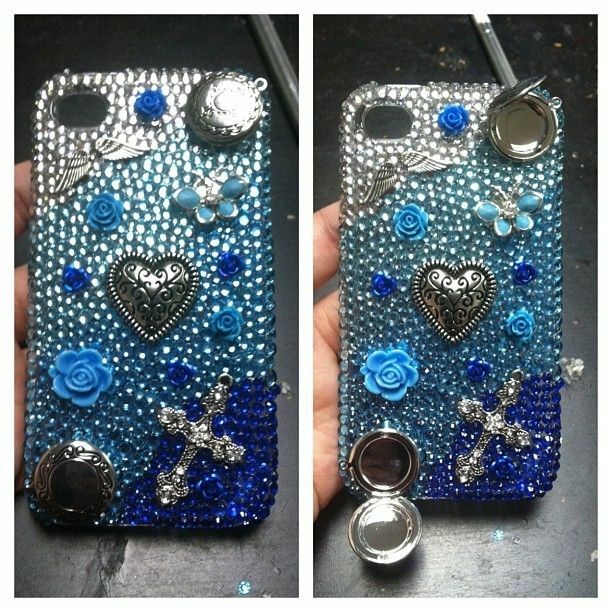 Custom 3D bling cellphone case for all models. Pearls, Rhinestones, resin pieces. Add as much or as little as you'd like to the case. If you can dream it i can make it. When i was looking for a cellphone case i wanted one that stood out and reflected my personality but after searching I found the same old boring cases so I decided to make my own. After doing so my friends were in love and they all wanted their own cases. After I had made them people started offering me money to do a case for them or their friend or their family members and before I knew it I was in Business. I love being challenged and given new ideas for cases. I'm thrilled when my customers are happy with their new piece of bling they get to show off.